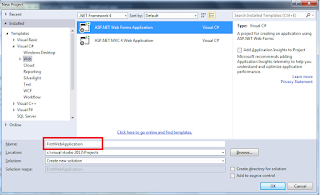 In this tutorial we will learn how to create, build and run your first asp.net web app using C# and the ASP.NET. 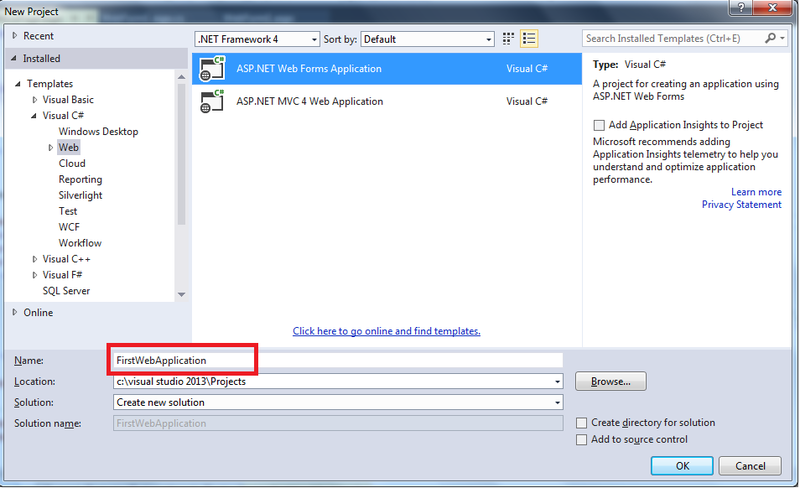 Choose location where you want this project to be created on system Then give the name of this project and click ok. 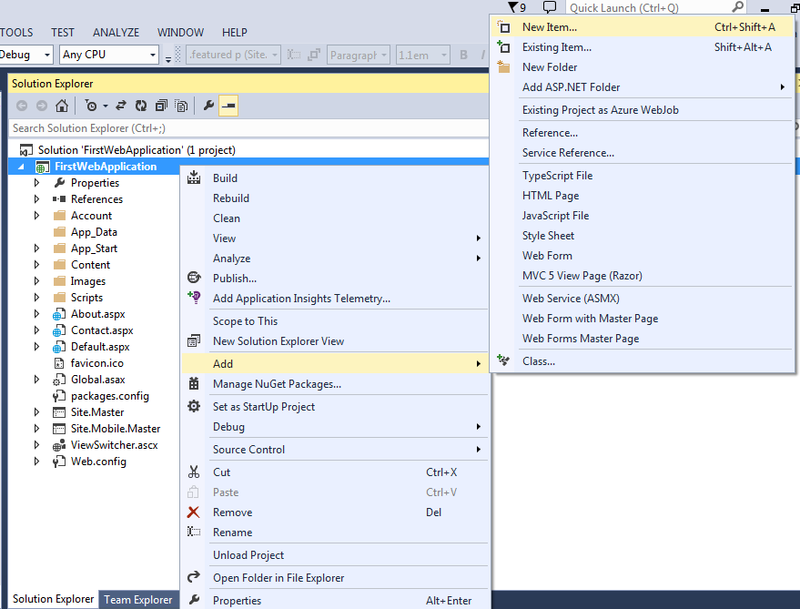 Visual Studio will then create and open a new web project within the solution explorer. 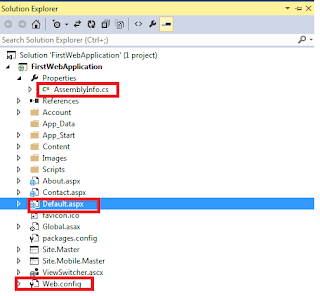 By default it will create a single page (Default.aspx), an AssemblyInfo.cs file in properties , as well as a web.config file. 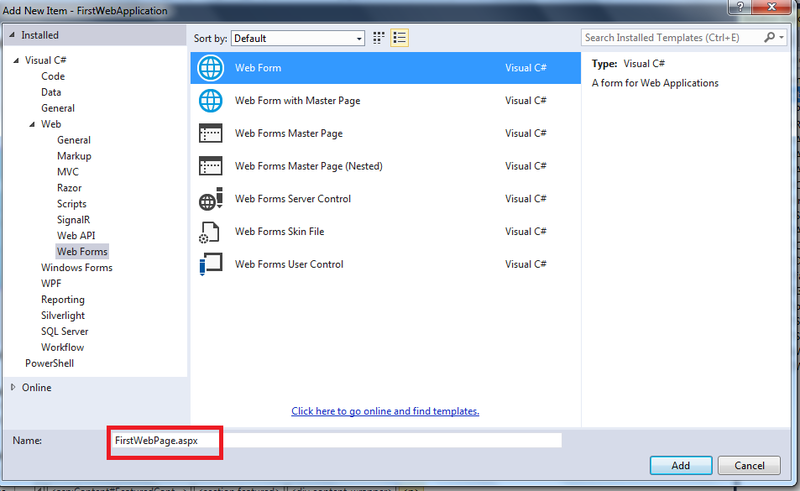 In VS-2005 this default.aspx will be empty page but in VS-2013 there will be created page means some text are there by default created by the Microsoft. 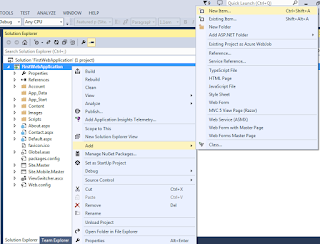 So for understanding purpose we will add a new item in this project name will be “FirstWebPage.aspx”. So for that right click on your application and click on add new item and select a empty web Form give the for this and click Add. 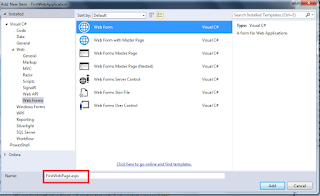 After click on Add button this “FirstWebPage.aspx” webform will add to the project. 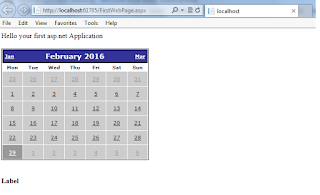 Now click on “FirstWebPage.aspx” webform it will open as HTML format(Source file) we can see it below of that page. We can go in design mode from there. We can made changes in screen from Source mode and design mode. 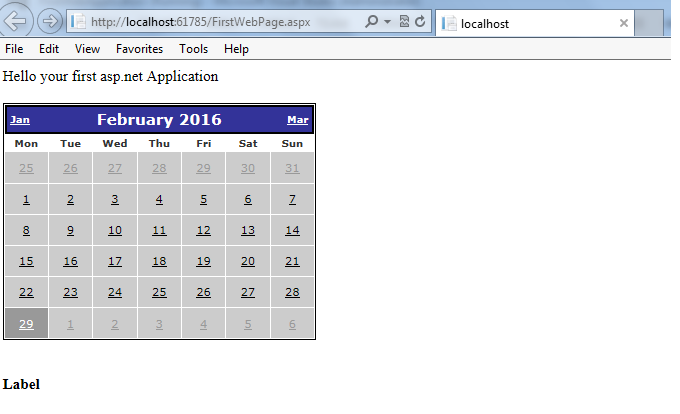 Here we are drag and drop a calendar and a label from toolbox .we can change view of calendar using calendar properties. 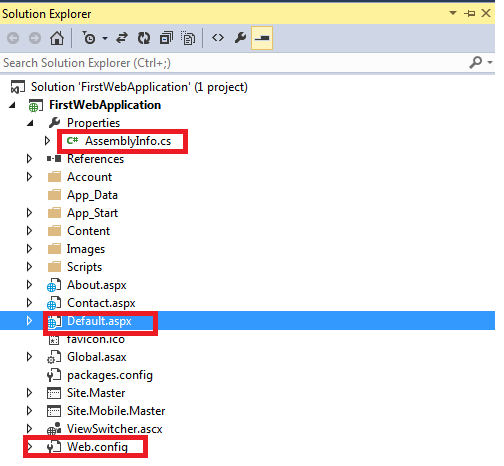 When you will run this application you will see this page on browser ,but before this we have to set “Startup project “ for that right click on “FirstWebPage.aspx” and set it as startup project and run this application or you can see this page using open this browser With.